90% of women look for health information online. We trust each other over our doctors. Social Health is empowering women to take charge of their own health and well-being. High energy and optimism drive entrepreneurs to overcome the daily challenges of starting and running a business. It is drawn from the spirit of achievement. A belief in winning. The achiever reflects on the vision supplanted in the back of their mind that reminds them they can do it. Entrepreneurial spirit motivates. Unfortunately, entrepreneurial stress can be harmful. Often times I see business owners who fight gallantly and passionately to get their businesses off the ground. Overcoming every obstacle with stamina and vigor. Then the really hard work begins, as if the launch wasn’t difficult enough. Selling. Operating. Scaling. Funding. HR, PR and avoiding the ER. Days begin at 5AM and end around midnight. Sleep is sacrificed in place of getting more done. Family and friends watch on the sidelines as the entrepreneur climbs to the top. They are the cheerleaders, sounding boards and allies. They see the competitiveness to win, so they encourage you more. You’ve got spirit! You can do it, yes you can! Our colleagues and advisors rarely say stop or slow down. Why? They don’t want to crush the dream. They want to keep the spirit alive. Businesses are built with emotions of positive thinking, ambition and heart thumping enthusiasm. They are also built with blood, sweat and tears. We chant faster, better, more. We ignore slower, take a breath, and reminders to enjoy the journey. We convince ourselves we work better under pressure and stress. As we are conditioned more than ever to reach for the stars, who is telling you to chill out? It seems counter intuitive to being an entrepreneur. Is it? Can you get more accomplished when you are relaxed and well rested? There are countless studies that prove stress is bad for your health. It increases heart disease, inflammation, chances of having a stroke, weight gain, and even increases odds of catching a cold. 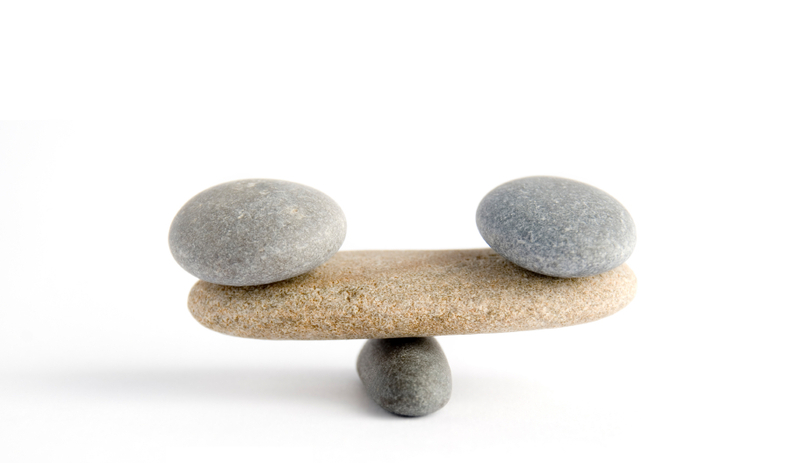 Relaxation studies show we can counterbalance many of the health risks. Yet, out of fear of failing, the entrepreneur presses on and tries to do more. I am reminded of a wise mentor who once said, do you want your epitaph to read “I Worked the Hardest”. Know anyone that has health issues from living stress-free or being well rested and relaxed? Know anyone with health issues from living in the hyper stress mode, working 18 hour days, not sleeping, and sacrificing all “me” time? Take this advice from a self-subscribed workaholic, it may be time to relax! Here are a few ideas on how to get back to the spirit and reduce the entrepreneurial stress. 1. Remind yourself of the WHY. Why are you building a business? Why are you working so hard? Why are you driving yourself and probably your family crazy? Write down your why and review it daily. If it is for your retirement, for your security, for your family or for your employees, they will all tell you they would rather have a bit more of the relaxed you than a bit more stress. 2. Turn off the electronics. We are more wired and connected today. Checking emails first thing in the morning can create stress before you even get started. Smartphones, laptops, computers, TVs, off! Set a schedule for when you will be connected and give yourself the freedom to be off the grid. 3. Say hello! Reach out to past colleagues and mentors. Get together in real time, face to face. Perhaps they are in the same predicament of being overloaded and overworked and are looking for someone to help give them a reprieve. 4. Read any good books lately? No one can argue that reading is good for the mind and soul. Take 20 minutes a day to refresh your mind. Give yourself time to escape, explore and grow. 5. Prioritize. Do you have a list of priorities? Take your list and categorize the A list, all which have to be done by a committed deadline. Next is your B list, those items that are important but are less urgent. Finally, your C list that captures those tasks that would be nice when completed; however, do not endanger your well-being or put the business at risk. 6. Escape. If your business can not survive without you for a weekend, a week or even two, you do not have a sustainable business. How would an investor perceive your business if it can not operate without you. In other words, the business is you. Do not believe you are helping your customers, your investors or employees by being the one that makes it all run. It is bad for business and bad for you. No one can sustain the pressure of being the sole enterprise. Delegate and escape. Force the business to run without you. If you get to the end of the road and the sign blazes with bright lights that you made it, congratulations. You did it. Now, look back and ask was it worth it? Did you enjoy the journey? If you are still on that journey, stop and breathe. Relish in the spirit of being an entrepreneur. Enjoy the growth in your business and your personal experience. Don’t miss out on life to get to the end. There is no recovery from lost time or relationships. Make sure it is really the entrepreneurial spirit that is motivating you, not the stress controlling you. Live Long. Be Happy. And Prosper. 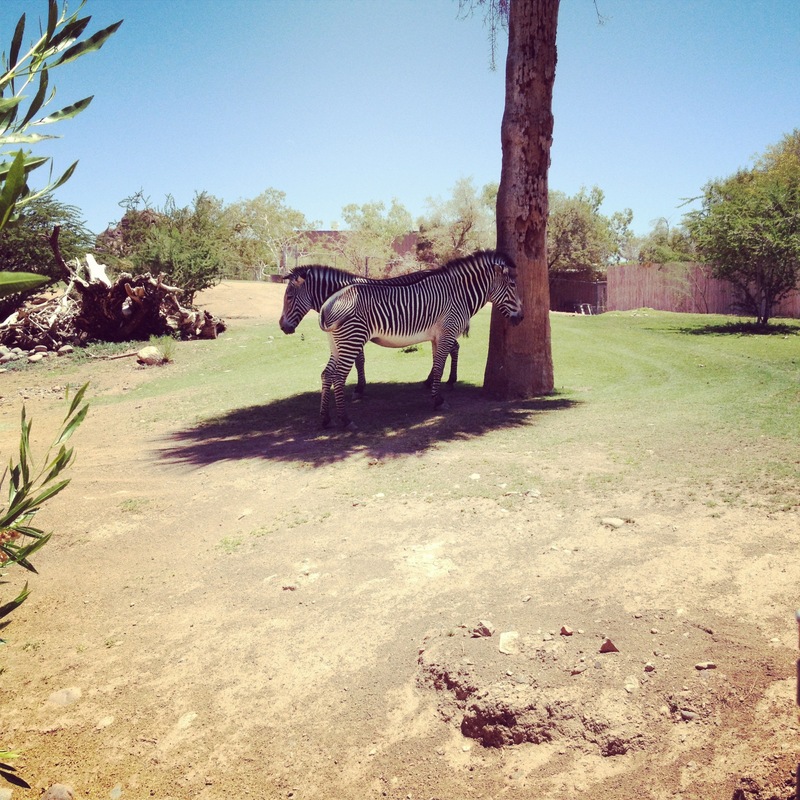 A rare reprieve of relentless Arizona summer temperatures provided a great day to visit The Phoenix Zoo. Walking through all the exhibits inspired me to think about life lessons you can learn at the zoo. First, I learned my brilliant idea of mixing with animals is not unique. Every year 175 million people visit 224 accredited zoos and aquariums in the United States, according to the Association of Zoos & Aquariums (AZA). Second, getting close to elephants, sharks and wolves has an important financial impact. The AZA reported in 2011 that zoos and aquariums contributed $16 billion to the US economy and employed more than 142,000 people. Diversity Exists at the Zoo – Hundreds of species existing together – lions and tigers, oh my! From reptiles to some of the largest mammals that roam our planet, the zoo is truly diverse. We are able to see a harmonious place where differences are appreciated and celebrated. We seek out and marvel at all the distinct unlikeness between varieties of snakes, birds, monkeys and bears. It is also worth noting that there is great diversity in the people that visit the zoo, all together and at the same time. Travelers from all over the world, all cultures and ethnicity enjoy visiting the zoo — a true melting pot. 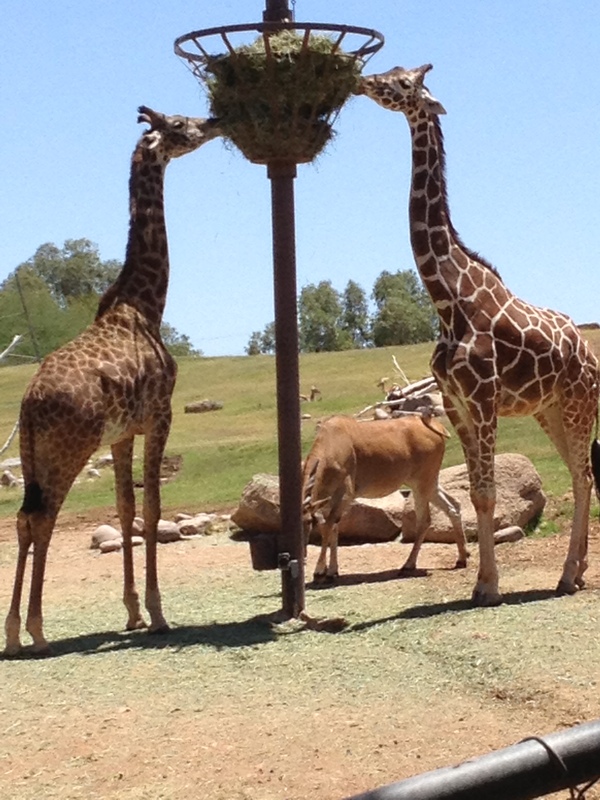 Community Matters at the Zoo – Most zoos survive with a community of volunteers and public and private donations. Zoos need communities to promote and participate in supporting the upkeep and daily maintenance. It is expensive to entertain and educate us. Zoos need all of us as much as we need them. Make it a priority to visit your local zoo at least one time a year, better yet become a zoo member! Visiting the Zoo is Healthy – It is outdoors and requires you to get moving! Most zoos require you to walk great distances to see all the exhibits. Zoos definitely beat out a walk inside the mall and will probably save you money. As fact, in 2009 a Animal Science Journal study reported zoo visitors had a drop in blood pressure when they left the zoo and felt they had an improved quality of life. The Zoo is Ageless – As marketers and business leaders continually look for ways to segment their target audience, the zoo appeals to all ages! From babies to seniors, the zoo brings smiles to the young and young at heart. Families, teens, dating couples, grand parents and small children wander the paths together. Screaming and crying is expected and crowds draw more people to get a glimpse. There are no limits at the zoo. Curiosity can Conquer Fear – Imagine starring a tiger in the eye or feeding a sting ray. Only at the zoo can we conquer our fears so easily. We can watch the spiders and snakes up close and glare at the wolves as they roam a few feet in front of us. The zoo allows us to use our curiosity as a way to overcome the fear of the unknown. Children (and adults) can ride a camel and shake hands with a tree monkey. Interaction creates an opportunity to learn. The more we know, the less we fear. As you think about a way to support your local community, go for a long walk and tap into your adventurous side to explore the unknown, I suggest there is no better place to do it all than the zoo! Have You Identified and Protected Your IP?